In a recent Generate survey about financial literacy, only 33% of respondents said they could determine an organisation's financial health. Only 18% said they could apply financial ratios, the tools commonly used to assess how well an organisation is doing financially. Earlier this year, I presented at the Institute of Community Directors' Board Builder Conference and talked about five questions to ask if you're working out how financially secure a not-for- profit is. 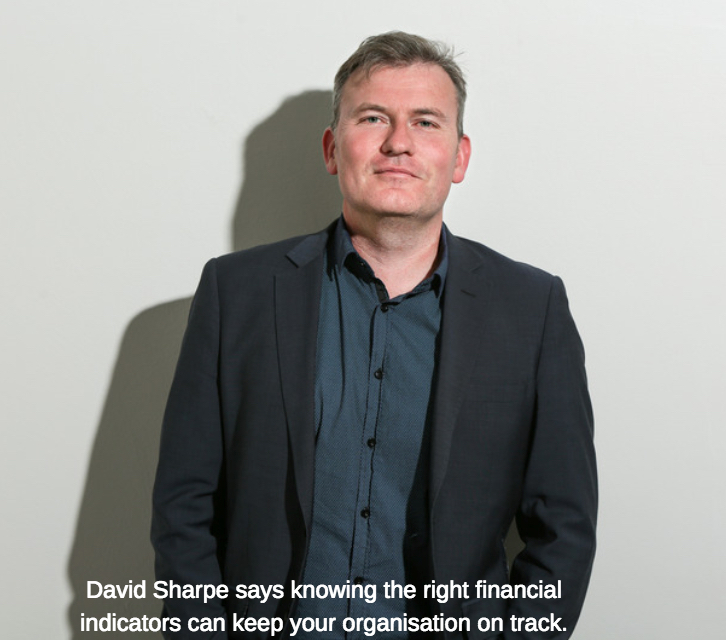 These are five questions anyone can use to start to decode an organisation's finances. They're not the only questions you should ask, but they are a way to start a conversation that might save your NFP's bacon - and your own. 1. Is your organisation going bust? Let's face it - this is the one we all want to know the answer to. No one wants to be the staff member, board member or funder who presided over an NFP that had to shut its door. To answer this question, head to the balance sheet and look at the net assets figure. First test? We want this to be positive, not negative. Then look at the profit and loss statement and find the organisation's total expenditure. (Net assets ÷ total expenditure) x 100 gives you the organisation's financial reserves as a percentage of annual expenditure - basically, how big a financial buffer the organisation has. 10% is good. 20% is great. 2. Do you have enough money to pay your debts? It's critically important to know about short term debts and where the money is coming from to pay them. Both the numbers you need to answer this question are on the balance sheet. Current assets ÷ current liabilities will give you a number which indicates how easily the organisation can meet its short term debts. If this number is 1.5, for instance, then for every dollar the organisation owes, it has $1.50 to pay for it. If it's 0.25, then for every dollar the organisation owes, it only has 25c to pay for it. You know which way you want this ratio to come out. 3. How much cash does your organisation have? Cash is king, right? The more cash an organisation has, the better, yes? Generally speaking, yes. But things are a little more complicated in the NFP world. You want to look at the levels of cash in the bank (found on the balance sheet), but you also want to look at how much of that cash is earmarked for future activities. So take that cash figure and subtract any income received in advance (also on the balance sheet). "Income received in advance" includes items like government grants, subscription income, donations tied to certain outcomes... anything where the money can't be spent yet because it has a future obligation attached to it. 4. How dependent are you on government funding? This is an easy formula to master, and it can be applied after a quick glance at the profit and loss statement. It's this: (government grants ÷ total revenue) x 100. You'll get a percentage showing how dependent on government funding your organisation is. The higher the figure, the higher the risk to your organisation if funding ceases. What's a good percentage to aim for? Well, a diverse range of income streams is usually a sign of financial stability for an organisation, so I think less than 50% is a good target. But it depends on your industry. Many organisations in the health and wellbeing sector have much higher percentages than that. It's a question of risk and corresponding strategies to mitigate that risk, which are key issues for board members. Of course, you can apply the same formula to test dependence on other income streams: donations, sponsorship, philanthropy and so on. 5. How efficient is your organisation's fundraising? Many NFPs invest a lot of time and resources in fundraising. How can you tell whether all that effort is well spent? Use this formula: (fundraising expenses ÷ fundraising revenue) x 100. The resulting percentage will tell you how much bang you're getting for your fundraising buck. The lower the better, but I think 20% is a good to aim for. You can apply the same formula to a range of expenses, like marketing, project expenses and so on. You're basically comparing how much revenue you generated from a set cost. And one more thing - can't someone do all this for me? Sure. Not someone as much as something: an automated financial dashboard program. There are lots out there, but Futrli (formerly Crunchboards) is one which is customisable, so you can set it up with these ratios and others you tailor specifically for your needs. It will also read directly from Xero, so your data is always up to date. An alternative is FathomHQ.